Meet Ethan. Ethan loves his family, fireflies, and hiking through the woods to gather stick "bouquets" for his mom (because he likes sticks better than flowers). Ethan has heterotaxy syndrome, a rare condition causing internal organs to be malformed, misplaced, multiplied, or missing entirely. Ethan was born with 2 left lungs, 5 spleens, and 9 congenital heart defects. 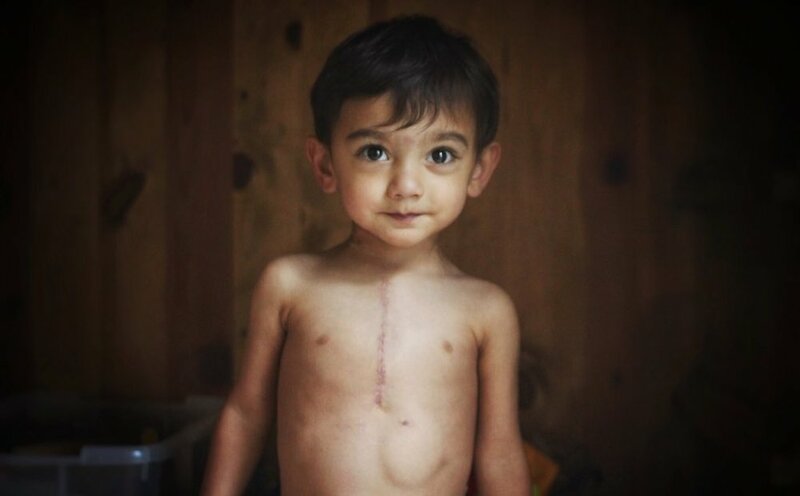 In his first four years of life, he's had four open heart surgeries. "Without insurance we would owe $231,115 for 10 hours in the OR, 1 week in the CICU and 1 week on the cardiac floor. He's had four of these surgeries, some more involved than others. The one before this had him in the CICU for three weeks. We're hopeful that going forwards he'll need fewer and smaller surgeries, but this was not the last time they'll open his chest. Nearly a quarter million dollars for one surgery. Reinstate lifetime caps and he's out. He blew past the million dollar mark long ago. As long as we have him with us (and I hope with everything in me that it's forever) we will need to pay for expensive medical care. A lifetime cap on benefits is the same as saying, 'Sorry, you're not worth keeping alive anymore. You're just too expensive.' Look my son in the eyes and tell him that he's fought so hard to be here but sorry, you're just not worth it anymore. I dare you." Read more about Ethan and his mom Alison Chandra in their CNN interview here, and in the article Alison wrote for Vox about her experience going public (and viral) with Ethan's health care story.